We undertook this audit to assess the extent to which city officials have taken timely, appropriate corrective action in response to audit findings and recommendations. The city charter requires our office to report on completed audits, major findings, management's corrective actions, and significant findings that have not been fully addressed. The Departments of Watershed Management and Finance had implemented 33 of the 66 recommendations we evaluated. The departments had partially implemented 17 of the recommendations and had told us that they planned to fully implement these recommendations by the end of calendar year 2010. 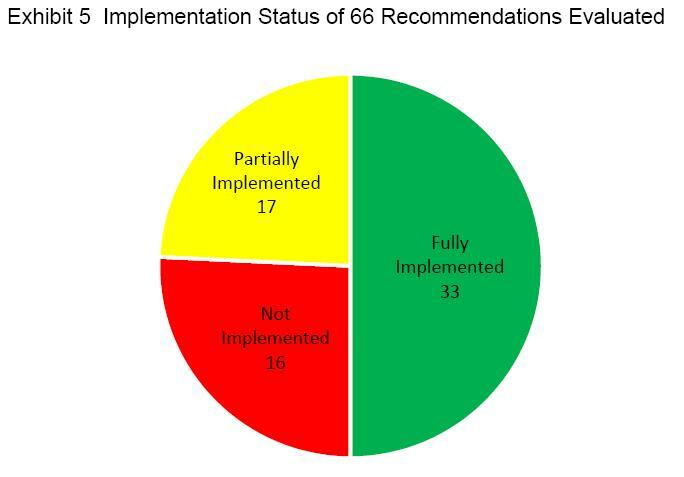 Watershed Management had yet to implement 6 of 16 recommendations. The Department of Finance was responsible for 10 of the 16 unimplemented recommendations, three of which addressed risks related to non-compliance with state or federal laws.